The Mobile Factory fervently believes in the principle of Wisdom of the Crowd. That’s why we’re super excited to see that some of our Crew Members are willing to use their talents in various ways to spread our message. One of them is Crew Member Vanessa Steijn. Vanessa and Jenny are founders of the blog Goed Eten Gezond Leven (Good Food, Healthy Life). This blog is an online platform on living and eating healthily. In this way, Jenny and Vanessa are contributing to a healthier and happier Netherlands. Their website is hugely popular: the two girls attract about 50.000 readers a month. Vanessa heard about The Mobile Factory through others, and the concept really interested her. That’s when she thought to herself she could also contribute to a healthier, happier Haiti. She contacted The Mobile Factory, and together we started a great project. Now her readers can not only enjoy a delicious Haitian chicken dish, but they can also contribute to a healthy cooking experience for Haitian families. The extremely poor people of Haiti prepare their food using wood fires. This is unhealthy and also causes the air to be polluted by CO2. In 2012, more than 4.3 million people worldwide died as a result of inhaling open fire smoke and air polluted by dirty fuel. Apart from that, entire forests are being cut down to meet the need for cheap fuel. There must be another way, Vanessa thought, and we agree. The solution to the unhealthy way of cooking and to the air pollution? Using a biomass cookstove. 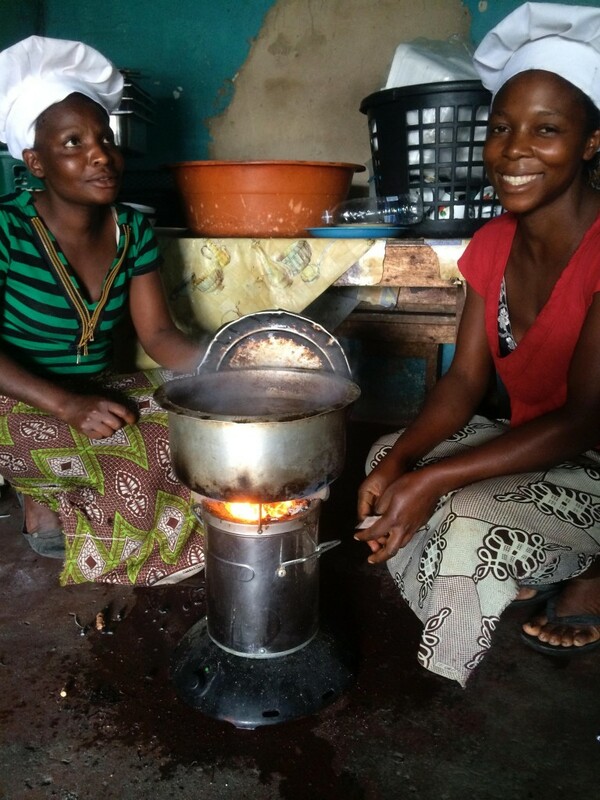 What’s a biomass cookstove? 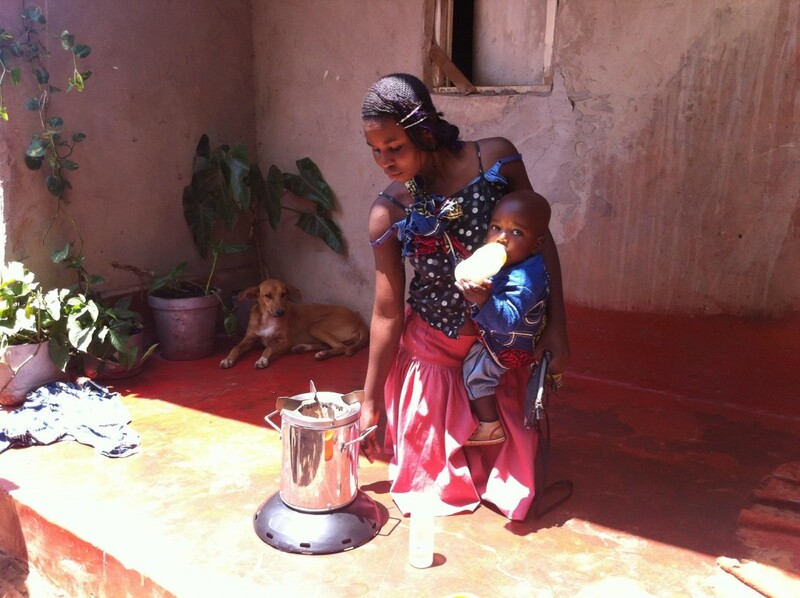 It has all the features of a small cooker and was developed by Philips for communities in developing countries. The cookstove burns natural fuels in an efficient way: the heat generated by the ceramic system evaporates both fuel (wood, dung or other biomass) and smoke, thus empowering people to cook in traditional ways. As an added plus, the device uses much less fuel than a traditional open fire, utilizing a rechargeable battery that is charged through a small solar panel. With every completed home, The Mobile Factory donates a biomass cookstove to the future inhabitants. Because healthy living also means healthy cooking!